But even in your worst moments, you'll still love being a parent. When you have a second baby, things are a bit different than the first time around. You will less concerned about being the perfect parent. Time alone with your partner and friends is even more important. Everything changes once you become a parent. Your sleep is cut in half, you eat standing up, and you may be unsure which day of the week it is — and that’s just after you have your first child. Just when you think you have this whole parenting gig figured out, the second baby comes along and life gets a lot more interesting. If you’re getting ready to have your second child, you might be wondering how your life is going to change, or if it’s going to change at all. 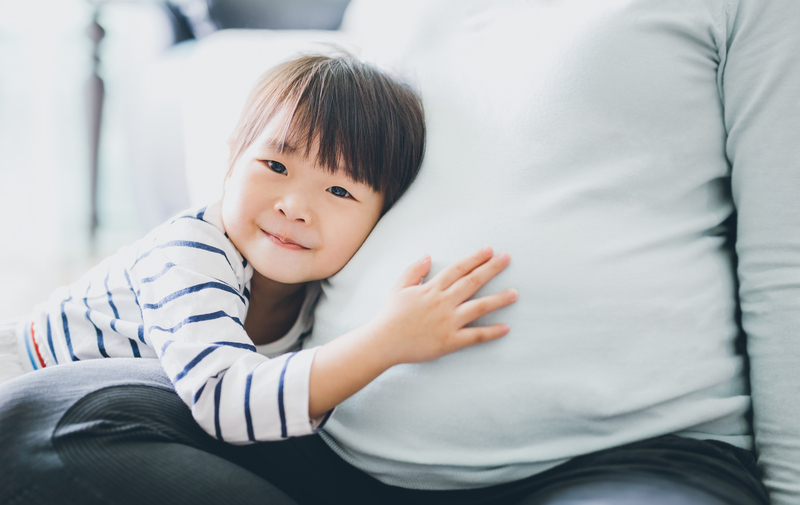 When I was pregnant with number two, friends and family members gave me tons of tips on what to expect when a second child joined the family. While some of the advice was helpful, most of it made no difference at all — especially when I was knee-deep in parenting a toddler and breastfeeding a new baby. Here are the 13 things I wish someone had told me before I had a second baby. To be honest, I was scared to death about how hard it was going to be with a second baby. My first was barely two years old, and I was still trying to figure her out. During the first few months after I had my second child, I often felt like I was walking in a fog. But after I found a routine that worked for me, I started feeling less like a hot mess. In fact, it wasn’t until I started getting out of the house and becoming more comfortable with being a mom to two kids that things got easier. During your first pregnancy, you probably had every baby book under the sun lined up nice and neat on your bookshelf. You may have even read all of them cover to cover — I know I did. Just when you think you’ve got everything figured out from your first baby, number two comes along and “mom intuition” — aka “winging it” — takes over. Who has time to Google anything when you’re feeding a baby and changing diapers on a toddler — both at the same time (probably something NOT recommended in the baby books). I made the mistake of trying to cram potty-training my toddler into the last few weeks of my second pregnancy. While it worked initially, she quickly went back to using diapers after my son was born. I chalked it up as a parenting failure, when in fact, it’s quite common for children to revert to baby-like behavior when a sibling joins the family. If you gave birth vaginally the first time around, your second dance with delivery could be more painful. They don’t call it the “ring of fire” for no reason. With my first, I made sure her precious backside spent the majority of the time in cloth diapers and that the food that she ate was organic. Fast forward to number two, and things looked a whole lot different. I quickly discovered that my reason for cloth diapering and being so careful about what my daughter ate and was exposed to had everything to do with trying to be the “perfect” mom and less to do with what I actually felt was important. I had every intention of finishing up book number one while pregnant with number two, and that never happened. There are pictures and mementos shoved in each book, but they are far from being done, and that’s OK. Let go of the guilt and embrace the fact that parenting isn’t about documenting every moment perfectly. To say that I’ve had a hard time with breastfeeding would be an understatement. I truly believed that it would be so much easier with my second child — at least that’s what everyone kept telling me. But I have a medical condition called insufficient growth tissue (IGT) that prevents me from making enough milk to feed my baby. Despite all of my efforts, breastfeeding did not get easier the second time around. Even though my condition is rare, many women do struggle with nursing their second children. So go easy on yourself and only do what brings you joy. I’m not talking about eating in the car, I’m talking about eating the food they find in the seat of the car. Cheerios, fruit snacks, crackers, you name it, my kids have eaten plenty of crumbled-up leftovers found shoved in their car seat — something that would have sent my anxiety into overdrive when it was just my daughter. But when hunger strikes — and you still haven’t figured out how to pack for two — somehow all food is fair game. If you spend any time on social media, you might get the idea that being a parent destroys your life. Some of the posts make it out to be this never-ending disaster. Yes, there are days when I feel like locking myself in the laundry room and never coming out, but when I do emerge from my time-out, my kids are always there to greet me with a smile and a pint of Ben & Jerry’s. Time with friends and extended family becomes even more important the second time around. Not only will you benefit from a few extra hands, the support you get from your village is priceless. Of course, you will have two kids vying for every ounce of energy you have, but it’s still important to invest in your relationship. And trust me, you will be so thankful that you carve out time for this — even if they have to join you in the laundry room. For a long time, I was convinced that all of my parenting mishaps were going to lead to my kids being mad at me forever. But here’s the thing about kids: They’re a bit like rubber bands. When you stretch them just a little, they do snap back. As long as you don’t stretch too hard, they will learn (and benefit) from the mistakes you make. So, relax and don’t be so hard on yourself. Kids do forgive and forget. I was worried that having two kids close together in age was going to make my house a war zone. But what I discovered was the exact opposite. Even at two years old, my daughter took to her baby brother in a way that I wasn’t expecting. Sure, they’ve had some minor blow-outs along the way — they are 10 and 8, after all — but I had no idea how much they would love each other, and it fills my heart.